Preparing the rolls by first boiling the ingredients on the stove. 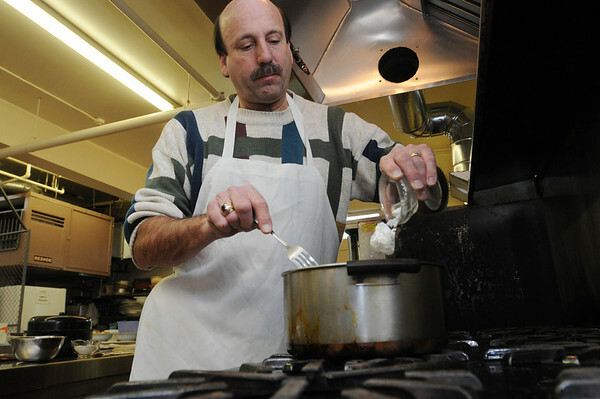 Jeff Rubin, a member of the Temple Emanu-El and a Marblehead native, prepares some dishes for a traditional Passover seder. He will prepare a brisket, charoses, passover rolls and a potato kugel.